I'm thrilled to share with you a new venture I am doing. 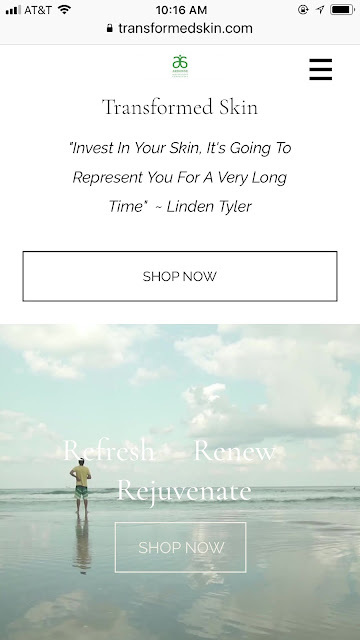 I just launched a website for a skin care line I am partnering with https://www.transformedskin.com/ I still have to tweak the website so it works on a mobile platform but if you have a computer and want to look us up on your desktop, please do. For awhile now, I have been wanting to partner with a skin care line and sell skin care for teens and young adults. My kids have been asking for skin care and I wanted something pure and well tested. I looked into different companies and tried product and finally landed on one. If you get a minute check us out. 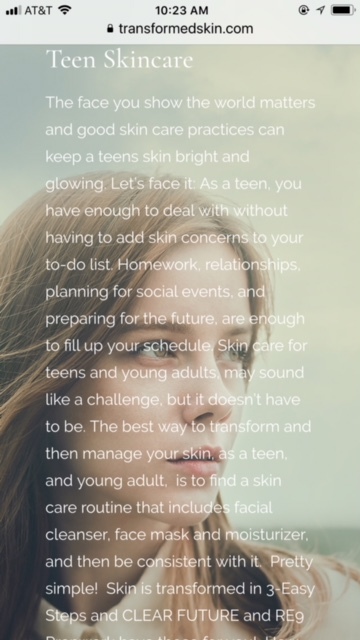 If you are a teen or young adult in need of skin care - look no further: https://www.transformedskin.com/ If you know a teenager or young adult who is in need of skin care, consider Transformed Skin, I don't think you will be disappointed. We also have all different kinds of products and skin care for all ages and stages in life, so do not let the push specifically for teens constrain you. Happy shopping, Refreshing, Renewing and Rejuvenating your skin!